We synthesized nine novel triazole-compounds and investigated their plant growth regulatory activity. 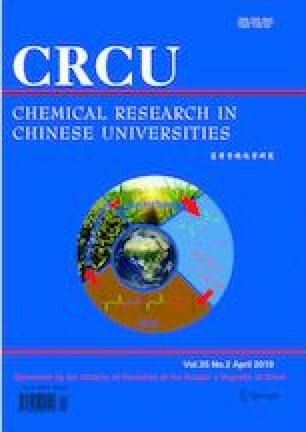 Compound CGR3, with methoxyacyl on 3-position of triazole ring, showed better activity, promoting root length not only for mungbean, but also for wheat. Additionally, CGR3 changed the level of endogenous hormones in mungbean roots, the most obvious effect was the increase of IAA, being 4.9 times greater than that of the control at the 96th hour after treatment. Among the synthesized new 1,2,4-triazol derivatives, CGR3 could be applied as a new agrochemical, functioning as a root growth stimulant, which promotes primary root length, influences the levels of endogenous hormones(IAA, ABA and GA3) to play an important role in controlling the primary root development. Supported by the Thirteenth Five National Key Research and Development Projects, China(No.2017YFD0201306), the Heilongjiang Province Outstanding Youth Fund, China(No.JC201309) and the National Key Technology R&D Program Fund, China(No.2014-BAD07B05). Supplementary material is available for this article at https://doi.org/10.1007/s40242-019-8303-6 and is accessible for authorized users.